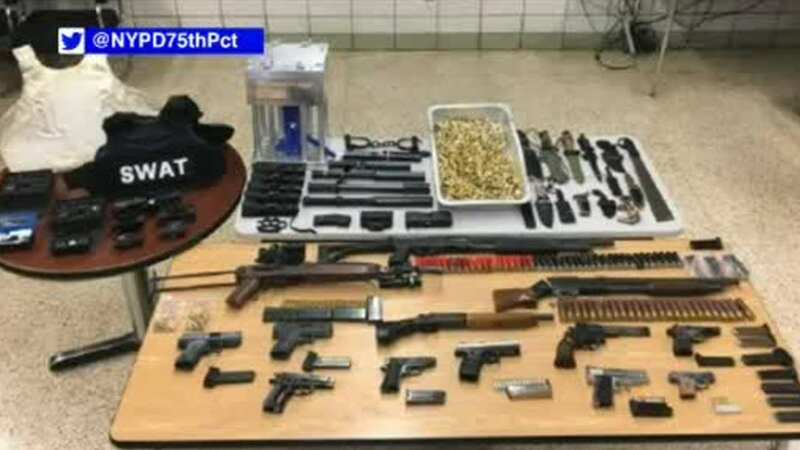 CYPRESS HILLS, Brooklyn (WABC) -- A father and son are under arrest after police discovered an arsenal of weapons in Brooklyn on Monday. Among the evidence police seized from the suspects' home and vehicle in Cypress Hills were 10 loaded handguns, 3 loaded shotguns, 8 Tasers and 2 bullet proof vests. 70-year-old Brian Donahue and his 32-year-old son, Sean are charged with 24 counts of criminal possession of a weapon.